In My Image: Serendip Sanctuary. Today I was on a different† part of the Wathaurong People's land, that of the Neerer balug. I honour them as the traditional owners of that land and respect their Elders, past and present. 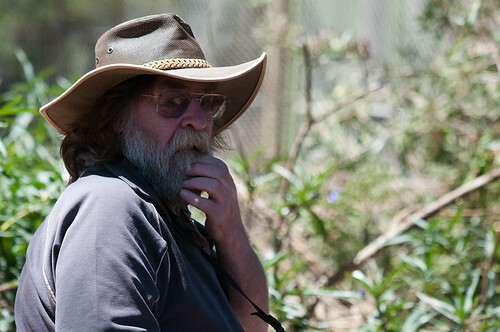 I went to visit the Serendip Sanctuary with my friend and fellow photographer, Allan and his lovely wife Judy. We might as well get this bit out of the way first, and then we shall never speak of it again. Deal? Towards the end of our stroll around the park, I called out to Allan to come and see "The world's biggest echidna!" This thing was the size of a porcupine and it was just sitting in the shade in the middle of the day. Well, I waited for it to move for a while, so I could get a clear shot of its head, but to no avail. I took the shot above and then walked on. As I walked, I kept my eye on this beast and something strange seemed to be happening to its shape! 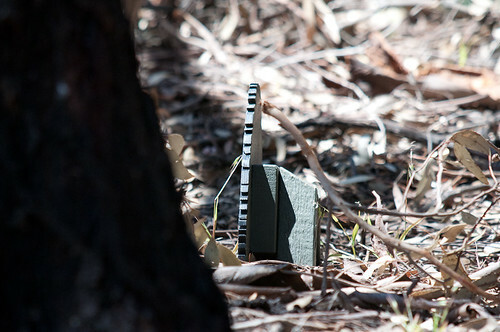 It was just a cut-out propped in the leaf litter! Ok, when you've stopped laughing at me, we can move on and never mention it again. All the regular crowd were there. 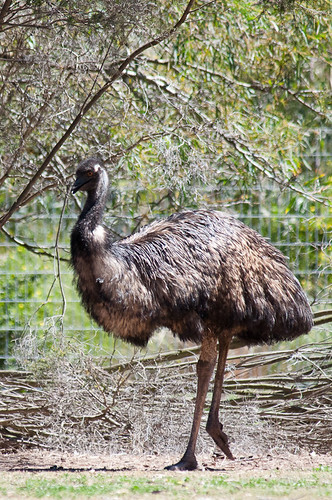 There was Old Man Emu, who we are told can run the pants off a kangaroo. I'm happy to accept that as a fact since I've never seen a kangaroo wearing pants. 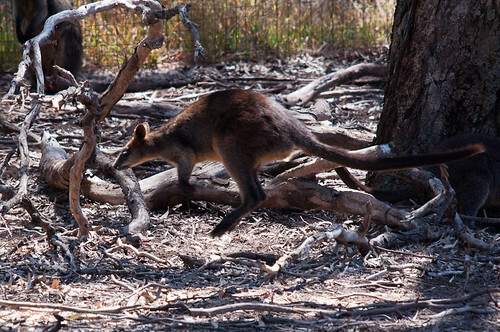 We didn't see any kangaroos (this is the area for the Eastern Grey Kangaroo), but there were wallabies a'plenty. Being a wetlands area, there were plenty of waterfowl. 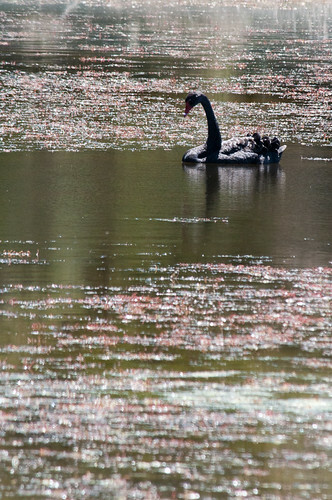 There were natives like this Black Swan. I suddenly felt like a nice cold Western Australian beer! 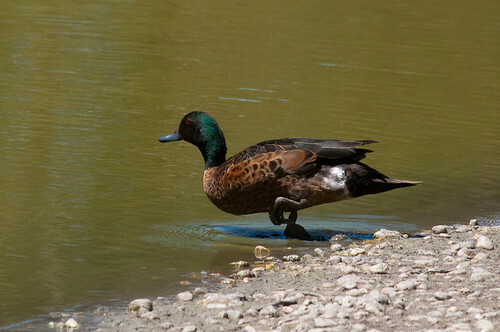 As well as introduced species such as this Mallard Duck. Not the ME from NCIS. Looks nothing like Illya Kuryakin. There were also other birds that utilise the wetlands. 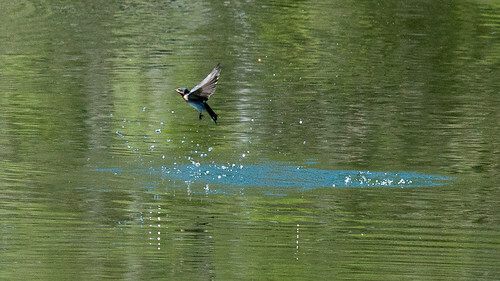 Not sure if these guys were fishing or just snatching a quick drink on the wing. Houston, we have splashdown of Apoll… No, wait, he's off again. 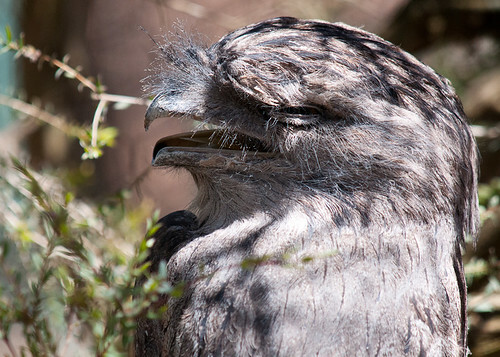 The highlight for me was finding, albeit in an enclosure, a couple of Tawny Frogmouths. It was the right time of year to catch a glimpse of any chicks that may have hatched recently, but they are notoriously shy and their defensive strategy is to freeze like a rock and not move. Anyway, that was our visit to Serendip Sanctuary. If you would like to see more of my shots, they're over on Flickr. Thanks for reading. 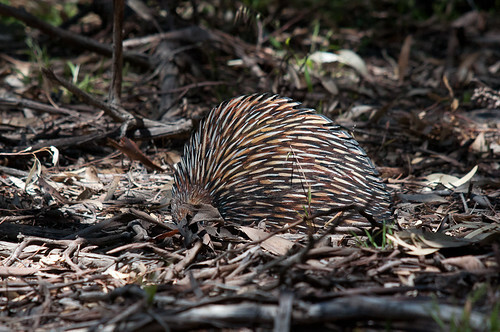 Don't tell anyone about the echidna, ok? 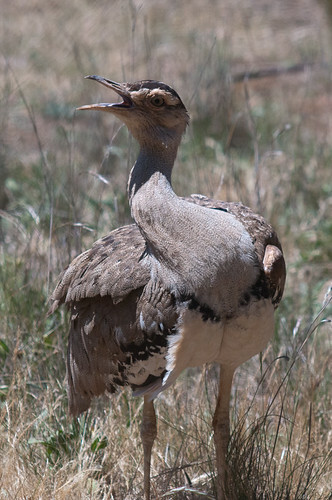 If you do, I'll call you a bustard. With a 'u', if you please. †I live in Bacchus Marsh, which is still part of the Wathaurong People's land, but of the Marpeang balug.